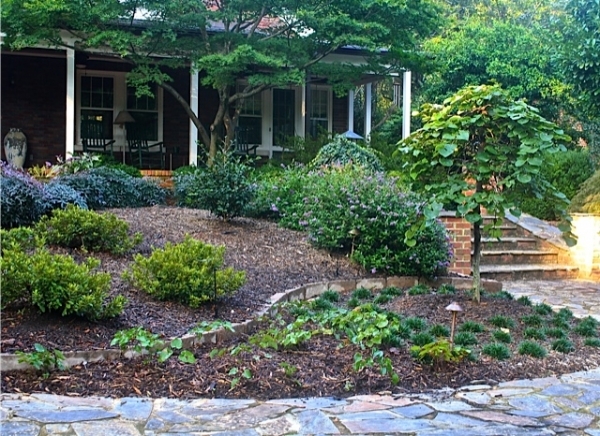 Wilson's Natural Landscaping is a strong team made up of plant professionals. If you're looking to add natural beauty to your yard or landscaping, something that follows Mother Nature's design, call Wilson's. 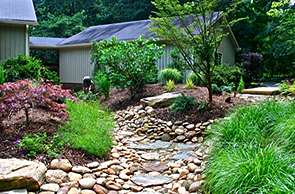 We pride ourselves on creating and building ecologically correct gardens. 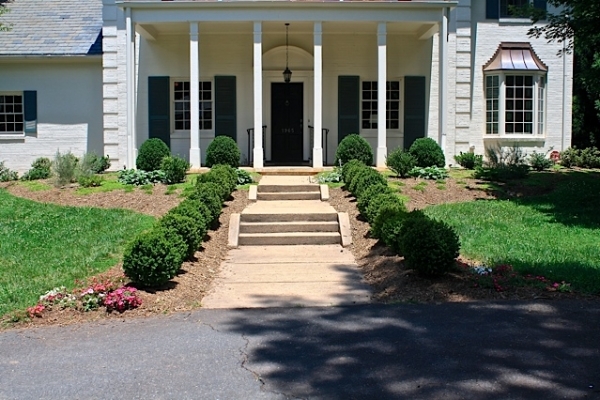 That doesn't mean your yard will become overgrown with weeds or unwanted plants - our team is great at accurately determining the style and features you want before designing your custom landscaping creation. Here at Wilson's, we have over 30 years of landscaping experience. Our team of plant professionals has a deep love for nature, and are highly educated through our training processes. Each team member has a strong work ethic and values, crucial to making sure that your job is done right the first time! 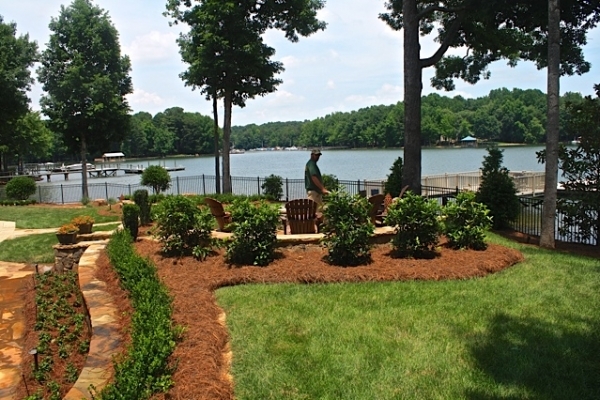 You'll love working with our team of landscaping artists, we guarantee it! We want to create your perfect outdoor oasis! Your backyard is your own personal escape; where you can relax and unwind. 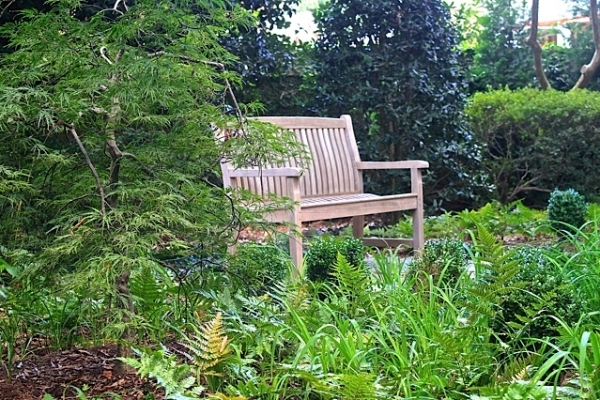 A proper landscape design can be instrumental in creating ultimate relaxation and peace of mind. Our team of plant experts believes that the key to any great landscape or garden design is to create a perfect balance of water elements, hardscape, and softscape design. We understand the proper usage of shapes, textures, and elements to create a design that will not only look great in your yard, but complement it too! From tropical to classical to contemporary designs, we can create a variety of custom landscapes that fit your style and budget. Our team of experts know what it takes to bring out the rustic and natural features of stone. Our experience with hardscaping materials has taught us to make beautiful retaining and decorative walls, large stone steps, small stone pathways, benches, and many other stone features. After we utilize the stone, we then complement the work with foliage - blending the two together and making it even more beautiful, functional, and most importantly...natural! See what other satisfied homeowners are saying about us! "My wife and I interviewed a few firms before a Wilson's Natural came to us as a referral from one of my peers at work. 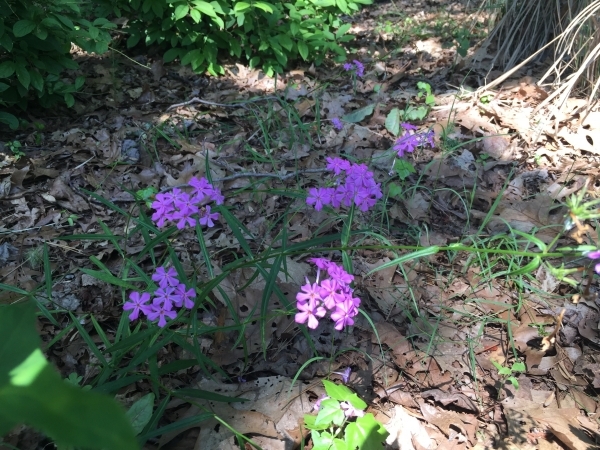 Chad immediately understood our woodland garden needs and came up with a simple, natural feeling plan that allows us to use and enjoy our wooded space. We have a special affinity for the small natural stone patio and native azalea that were incorporated. We highly recommend these men for your woodland garden needs." "Our neighbor decided to make a nice addition to their property by building a two story garage. We were happy for them but did not necessarily want to look directly at this new mass of brick. Chad came out, provided us with 3 options, priced a variety of sizes and thoroughly explained each plant's growth patterns, expected size at maturity and provided truly exceptional advice. Today, the garage is disappearing behind a large growing mixed border of evergreen plantings! Without hesitation contact Wilsons for privacy needs!"